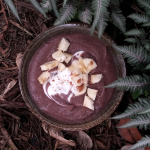 January 27, 2016 – Santa Monica-based Native State Foods, maker of Purely Pinole, is proud to be at the forefront of a burgeoning new food movement: purple foods. Experts at the 2016 Winter Fancy Foods Show in San Francisco last week named purple foods one of the top new trends taking the market by force. 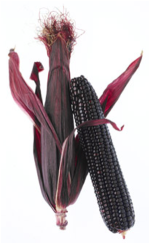 Purely Pinole, an ancient Aztec power food whose cornerstone ingredient is purple maize, is already seeing great response from consumers who recognize the rich nutrients found in purple foods. Native State Foods is the first company to introduce pinole (pih-nole) to the U.S. through its Purely Pinole line of premium hot cereals. Purely Pinole provides consumers long lasting energy and one-stop complete nutrition in every bowl. Native State Foods will be showcasing its Purely Pinole hot cereal at Natural Products Expo West 2016 to be held in Anaheim, CA March 9-13 (Booth #9635). The company also plans to debut a Purely Pinole Grab & Go Cup line at the show that meets consumer demand for convenience and on-the-go snacking. For more information or to try Purely Pinole, please visit www.PurelyPinole.com. Native State Foods is on a mission to provide better food for people and the planet by putting real nutrition back into the hands of consumers. 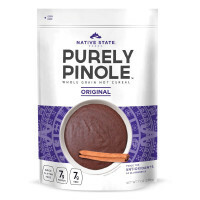 Based in Santa Monica and co-founded by Claudio Ochoa and Angela Palmieri, the company is the first to introduce pinole (pih-nole), an ancient Aztec power food, to the U.S. market. The company’s Purely Pinole line of hot cereal and snacking products provides one-stop nutrition with 7g of protein, 7g of fiber, 40g of whole grains, and powerful antioxidants in every bowl. The line is also non-GMO, gluten free, and soy free. Native State Foods is a proud member of 1% For The Planet.